AN ALLEGED member of a drug syndicate and a high-value target was arrested in a buy-bust operation in Zamboanga del Norte, the police reported. Hanah Jane Atendido, 22, an alleged member of the Selda Singko Drug Group, was arrested around 11 a.m. Saturday, March 23, in Sitio San Antonio in the village of Aseñero, Dapitan City, Zamboanga del Norte. 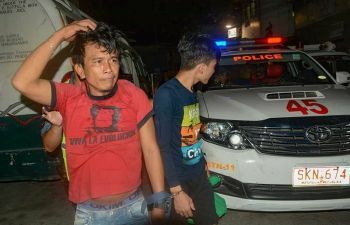 Police Major Helen Galvez, Police Regional Office (PRO) Zamboanga Peninsula information officer, said Atendido was detained while charges for violation of Section 5 of Article II of Republic Act 9165 or the Comprehensive Dangerous Drugs Act of 2002 were being prepared against the suspect.